﻿I’ve always been indifferent towards the food at Moxies because I see it as typical bar food and bar food is never exciting nor mindblowing delicious. So far, I have not been proven otherwise and this time was no different. I came here with a couple girl friends for lunch because we had a vegetarian with us and there weren’t many any other options around the area. 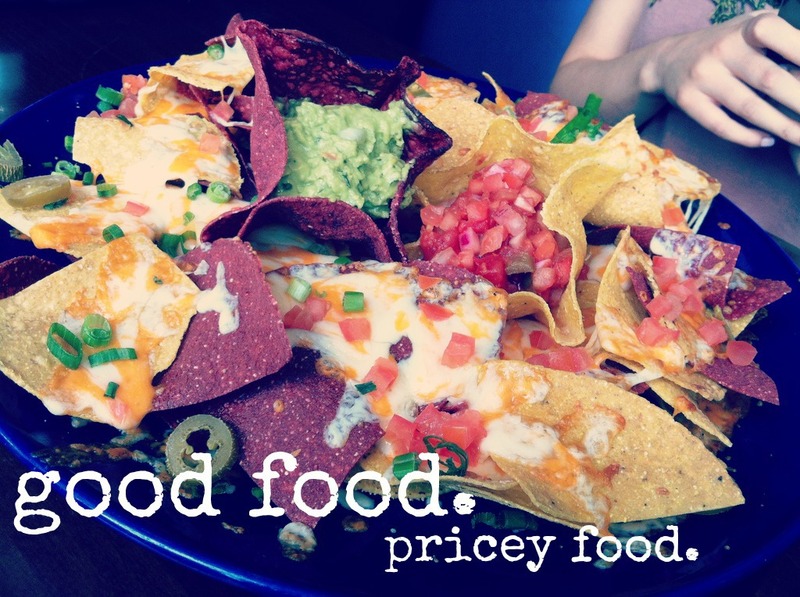 Our friend who was the vegetarian ordered the Nachos (~$20.00)﻿ as her entree. It was really pricey but I guess it’s because it was meant to be shared. The nachos came with guacomole and salsa in a tortilla bowl which was a nice touch. Overall the nachos were good but it was really expensive. 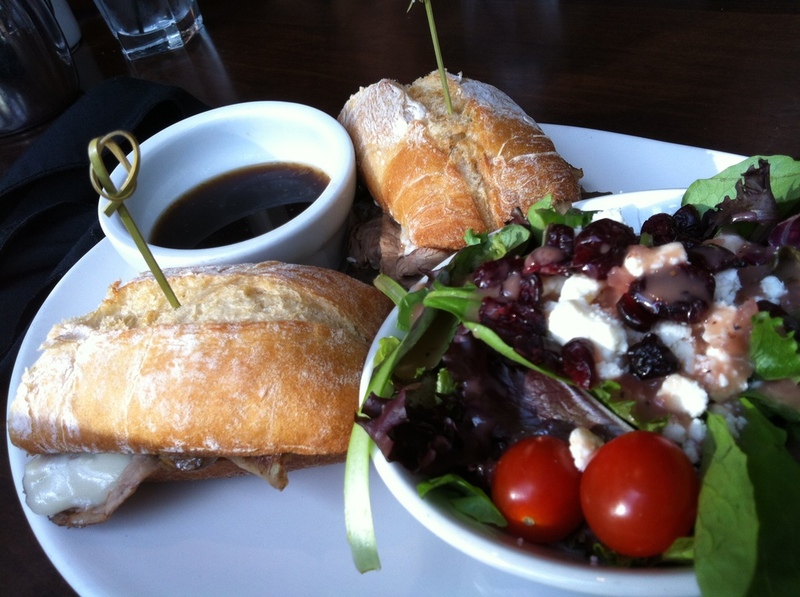 I opted for the Beef Dip with side salad and it comes with shaved prime rib, mushrooms, cheese, and au jus to dip. The prime rib was tender and juicy while the melted cheese coated everything with creamy goodness. 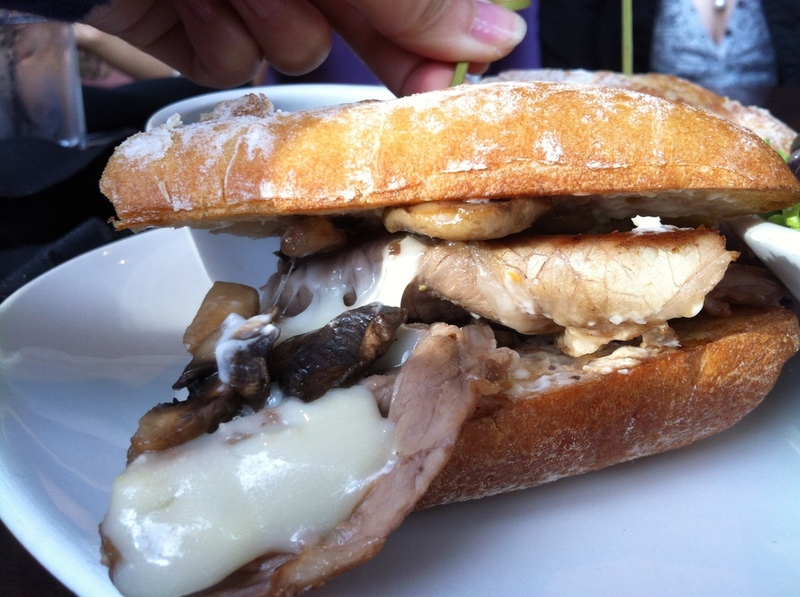 It was a messy comforting sandwich that I’d order again. 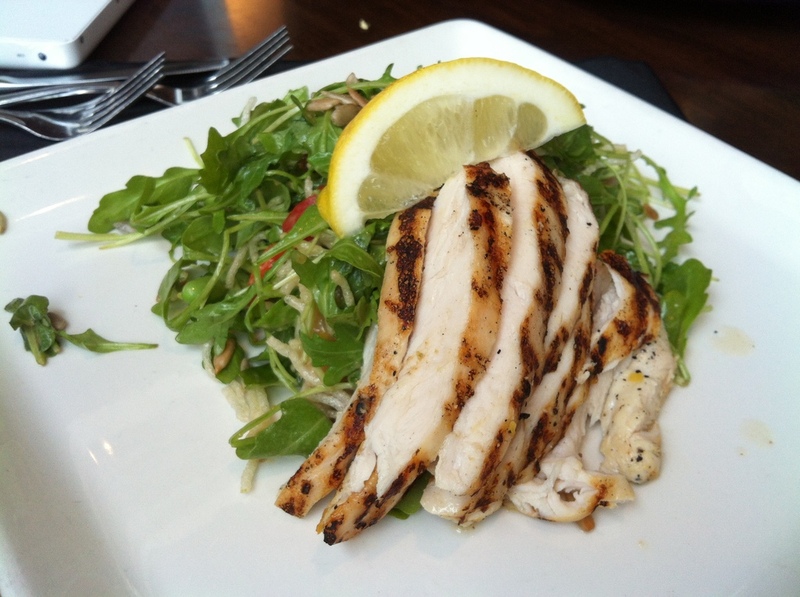 The Asian Chopped Salad was described to be ‘grilled breast of chicken and and crunchy vegetables tossed in sesame dressing and wonton crisps + toasted sesame seeds’. This was not what she imagined when she read the description and frankly she was a bit disappointed. 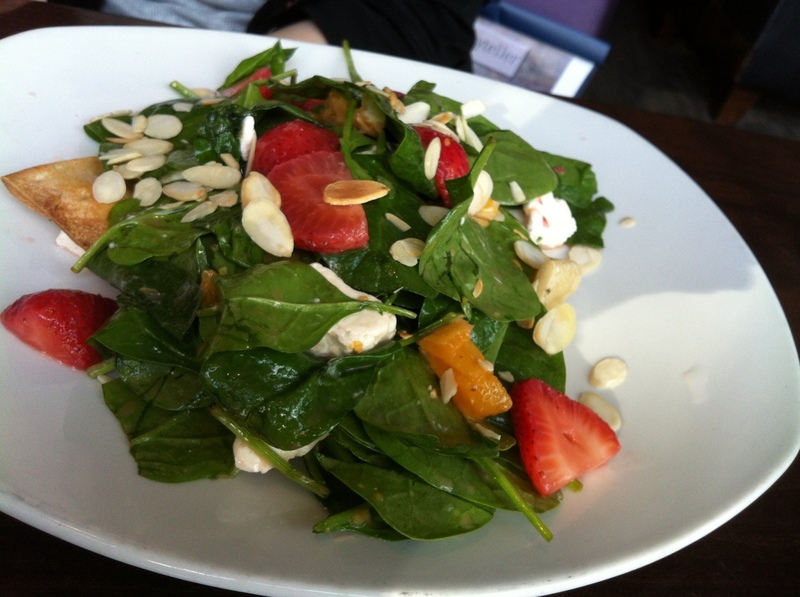 The Spinach Salad with Champagne Strawberries was slightly better as it had ruby red grapefruit vinaigrette, almonds, and fresh orange segments on warm goat cheese flatbread. All in all, I wouldn’t purposely come to Moxies but it is a decent choice if you are in the area or want their uber delicious white chocolate brownie. Personally, the prices are a little hard to justify considering their quality is just so so.